A well-designed website can be an amazing marketing tool that brings in new email opt-ins, leads, clients and customers. But if your website isn’t pulling its weight by doing these things, it is probably time to get a website makeover. 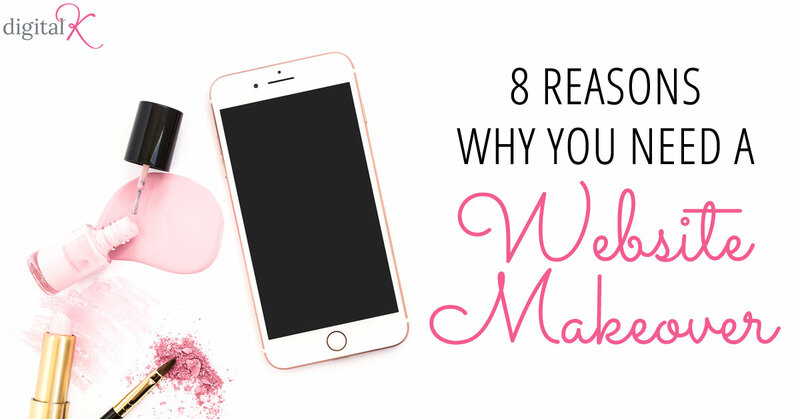 Just in case you need some convincing to freshen up your website, here are 8 reasons why your website might need a redesign. 1. You have a serious case of Website Shame! If your website isn’t mobile-friendly, you’re probably turning away business. A website that doesn’t work (or look good) on a phone or tablet will get closed in a hot second – and probably never returned to. That is a customer you might never see or hear from again. Plus, Google penalizes websites that aren’t mobile-friendly; so you might not be ranking as high in their search engine results as you could be. Create a responsive web design that looks great on any size monitor or mobile device. If you think your website looks a little outdated, chances are your website visitors think so too! Having an up-to-date design gives your website – and your business! – more credibility. You don’t have to incorporate every new design trend on your website; but it should look like it’s something that you haven’t neglected for the past 5 years. And what about your content? Do you avoid updating it because your website is hard for you to use? If you had a web designer build your website using a complicated platform that you can’t figure out how to use, it’s time to update your website. I create my clients’ websites on WordPress so they can easily add simple updates, pages, and images to their site themselves. I also provide them with their own mini user manual with instructions on how to do basic updates to their website. Your website should be doing more than just announcing to the world: “I’m on the web!” Your website should inspire someone to take action. Without some kind of tempting opt-in offer, or tease that will keep readers on the site and coming back for more, your website isn’t fully doing its job. At the very minimum, collecting the email addresses (or more information) from your visitors should be a goal. If you don’t have simple forms, useful landing pages, and obvious calls to action on your website, it needs to be updated. Whether you recently changed your logo or branding, or you simply picked the first website template you liked, your website will fall flat if it doesn’t reflect your business and brand. It’s important that all your marketing flows together and is obviously from the same business. Your website should match the look, feel and design of your other marketing materials (for example, your print materials and social media images). Your website is the face of your business, so make sure it truly showcases your brand. 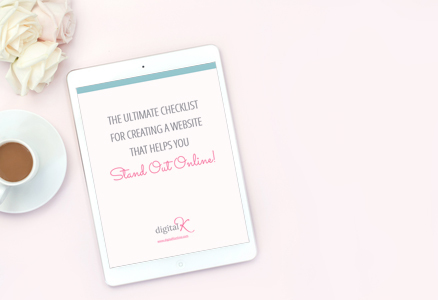 If you’ve got little to no website traffic, take a serious look at how your website is setup. Is it optimized for search engines (SEO)? Do you have social sharing buttons on your website? Are people leaving your website after just a few seconds? There is some disconnect going on that needs to be fixed ASAP. If your old website takes a long time to load, or worse yet, has broken functionality, people aren’t going to stick around long. It’s time to retire that bad boy. Make sure your website is a smooooth operator! 8. You want to start blogging… but you got no blog! If you built your site with a website builder that doesn’t have the ability to easily add a blog, then you need to create a new website that includes it. It’s better to have your blog created as a part of your website versus creating a separate blog that you link to from your website. I recommend using the self-hosted version of WordPress since it includes an easy-to-use blog that is great for SEO (ranking higher in search engine results). So take a good look at your website – and maybe ask for some honest feedback as well. What does your website say about your business? Do you like the answers? 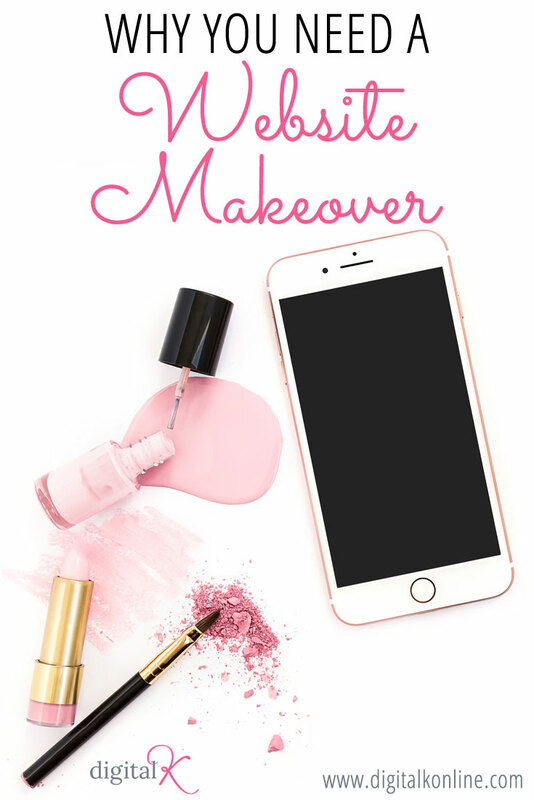 If no: Get that makeover, girl!